"The Power Stretch Pro Contact Glove is a light-weight and quick drying glove, made using a Polartec Power Stretch Pro fabric, featuring conductive finger tips on the index, middle and thumb, to allow use with touchscreen devices. The Power Stretch Contact Glove can be used as a stand-alone glove for mountain and hill-walking in moderate conditions, or to be used a liner glove in harsher alpine environments. 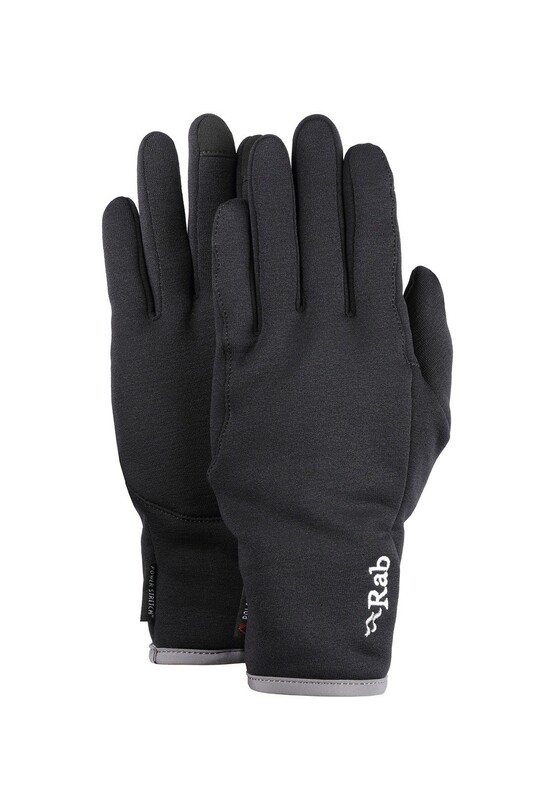 Weight: 45g (large) / Polartec Power Stretch Pro fabric / Stretch fleece conductive finger tips on index, middle and thumb / Low bulk cuff construction with Lycra edging "